For all in Stanmore HA7 Magic Carpet Cleaning is your faithful assistant in the fight against dirt, mold and stains! Our cleaning company is specialized in treatments of sports and dirt of all kinds – at your home, office, shop and any property. Cleanness in Stanmore is our mission and we fulfill our duty with a smile and enthusiasm – for we love our job! Our cleaning teams will arrive on time at the appointed place and will do everything that’s needed for your clear home and office – and even more! It is a cleaning treatment through hot water extraction, which removes 99% of all the soil, blemishes and allergens from your rug. We recommend it to people who are prone to developing allergies, but this method is also very suitable for families with children and pets. For us, this is among the most effective approaches because of the use of hot water which is used to destroy any microbes from the treated surfaces. The carpet detergents are injected into the rug under high temperature with professional equipment. Then, the detergents together with the dirt are sucked out from the tissue. Chemicals are used in combination with hot water in order to kill germs. Our equipment is fully consistent for work in private homes and public buildings. In dry cleaning, our teams apply detergents in powder form by rubbing them mechanically in the fabrics, and then they are sucked out together with the dirt by vacuum. Detergents we use are 98% biodegradable. This approach is suitable for preserving the delicate materials. As it does not use water, it prevents the occurrence of mold. Another big advantage of this cleaning method is that we do not use water, so the fabrics and rugs do not have to dry making people wait and the commercial property does not need to be closed for customers or clients. For all of our customers who trust us, we work with great enthusiasm and remove stains from artificial and natural materials. All our teams are certified to work with cleaning chemicals from diverse origins -acid, alkaloids, etc. 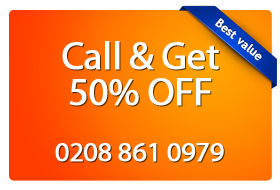 Get the best cleaning service in Stanmore HA7 – call us now at 0208 861 0979!